Barraquito - the most famous coffee in Tenerife, with a taste that will always bring back memories of a sunny holiday! Is it true that it's an alcoholic coffee drink? Yes. Barraquito is a Liqueur coffee that is so delicious and sweet that it should be served as dessert. With a mix of sweetness and alcohol, barraquito is a special coffee served mostly in Tenerife and nowhere else. Traditionally prepared with Licor 43, Spain's no. 1 liquor, Barraquito can be served at all times of day and it goes especially well after a tasty meal, replacing dessert. If you don't consume alcohol, then you can ask for a barraquito without alcohol. Or should we call it a Virgin Barraquito? While I was still trying to process the question and understand the meaning, the man took the bottle of Licor 43 and asked if I wanted alcohol or not in it. So yes... you can say that Barraquito is a sort of Vitamin Coffee, not an alcoholic one. As for my answer in regards to the coffee I wanted at 11 o'clock in the morning... well, I was on holiday, so... un Barraquito con vitamina por favor! I'm not a big coffee lover, but I do enjoy a good barraquito after a meal. Due to its sweetness for me it's really a dessert, and I usually have it after lunch. I really like the barraquito at Restaurant Las Goteras in Guia de Isora; actually I really like that restaurant and we go there often, so after have a big lunch there I always ask for a barraquito con vitamina. I also like the one at Cafeteria La Paz in Villaflor, which goes well with the almond cake they do there. Actually, I can't say I've ever had a bad barraquito - even the one I had in a mall in Santa Cruz de Tenerife was ok (not fantastic, but good). Prices for a barraquito range between 2,5 Euros and 4 Euros, maybe even 5 in a fancy location, but I don't personally remember seeing it cost that much. Want to recreate that typical aroma of a holiday in Tenerife? It's easy to recreate this tasty drink at home with just a few simple ingredients. Remember to buy Licor 43 or or Tia Maria while you are in Spain and bring it back home with you. Or, if you don't have those exact brands, you can substitute with another vanilla liquor to replicate that same aroma. Barrquito is usually served in a tall clear glass. Pour the condensed milk (aprox. 1 tablespoon) on the bottom of the glass, taking care not to smear the sides of the glass. Then pour the Licor 43, followed by the frothy milk and finally pour the espresso (or other strong dark coffee) carefully, in order to keep the layers intact. In the end, you can top up with a bit more frothy milk and some lemon zest on top. It's easy to adapt this recipe to your own taste - if you feel that it's too sweet just add less condensed milk or if you want to make it a lonmg drink, just add more warm milk. In some places in the north of Tenerife they call this type of coffee a Zaperoco instead of a Barraquito, so keep that in mind when you're looking through their menu, or just ask the waiter. Some restaurants serve their barraquito with cinnamon or powdered cocoa on top, so there are many variation to this drink and you can find them in their menu as Barraquito de la casa. 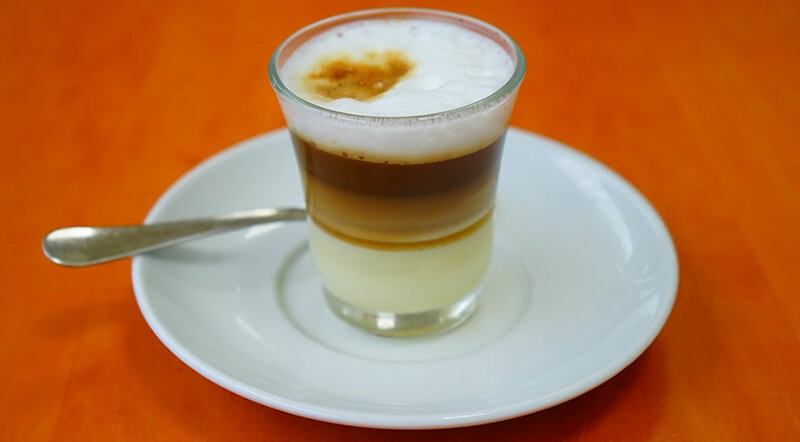 If it's too early for alcohol, or if you don't consume alcohol and want to try this tasty coffee drink while in Tenerife, just ask for a barraquito sin licor. Now that you know all the secrets and ingredients you can try to make your own drink at home, but if you feel that something is still missing, you can always come back to Tenerife for a Barraquito with an authentic canarian flavour.